This year we are offering both a Housekeeping Plan with hunters providing their own meals and American Plan hunts with all meals provided by a live in camp cook. Camps are limited to 4 hunters per week. The cost is $1200 for Housekeeping Plan hunts and $1450 for American Plan hunts, per hunter (Licenses not included) See our bear packet & brochure above for hunt details. References are available. Contact us with questions or to secure a spot.. Returning client or are ready to book? You can pay your deposit or book a specific week online here. 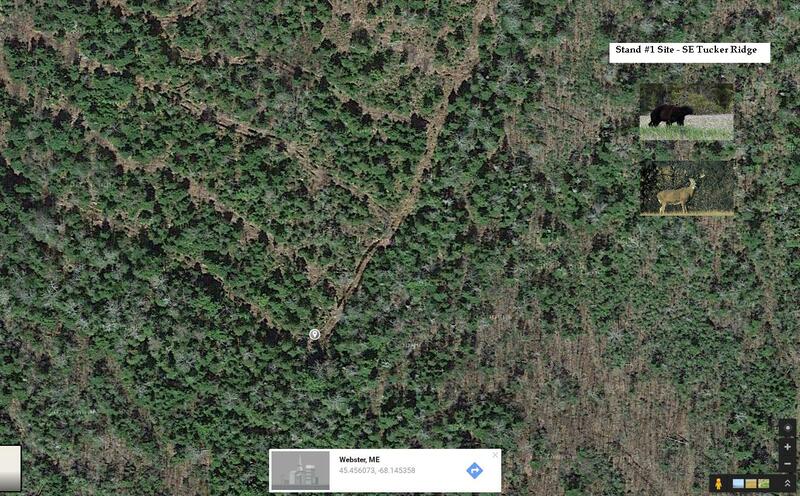 Our Stand #1 location is prime black bear and whitetail deer country. Numerous heavily used game trails network through this site. The Dept of Inland Fisheries & Wildlife discuss how hunting & trapping black bear in Maine is a vital population management tool…Maine’s bear program is a model for states with bear conflict and population control issues.